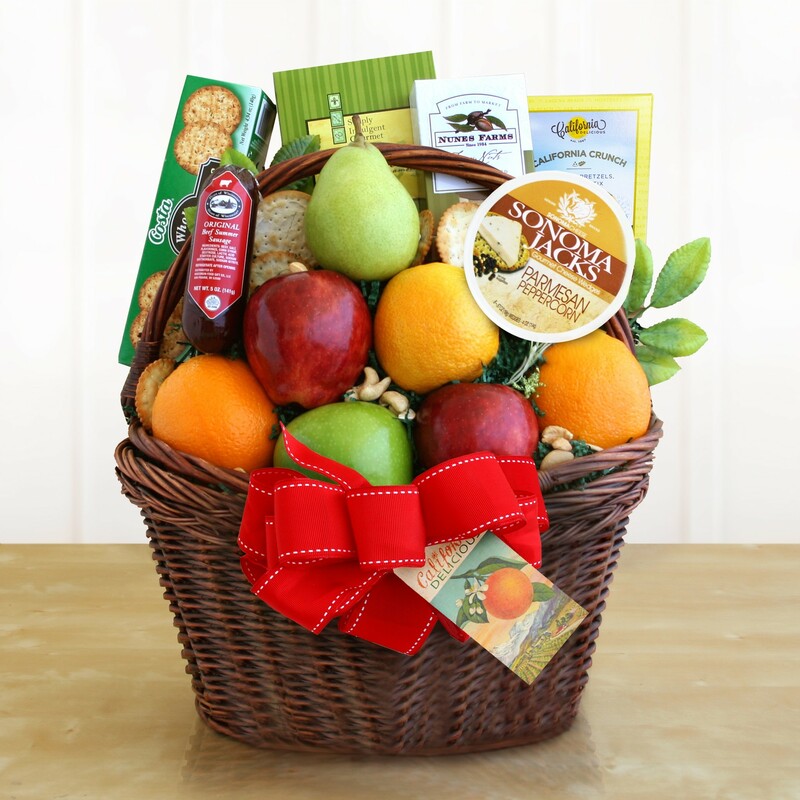 Send greetings to family, friends, and co-workers with this colorful and delicious selection of 8 pieces of fresh seasonal fruit, Sonoma cheese, crackers, California almonds, salami, cookies and snack mix. There is a little healthy something for everyone to enjoy. "Fresh Seasonal Fruit: Apples, Oranges, and Pears (7 pieces); Snack Mix (2 oz each; 1 count); English Tea Cookies (6 oz each, 1 count); Almonds (2 oz each, 1 count); Cheese Spread (4 oz each, 1 count); Summer Sausage (5 oz each, 1 count); Crackers (2.2 oz each, 1 count)	"